An alliance of advocacy groups from across Knox has been formalised to provide residents with a greater say on how Knox should be developed in the future. KADA, Knox Appropriate Development Alliance, has been formed in response to the anger expressed by many in the Knox community with development seen as inappropriate and disrespectful of Knox’s unique location at the base of the Dandenong Ranges. Newly appointed Chair of the group, Catherine Kruse, said the group’s mission was to provide an alternative voice for residents concerned with the lack of meaningful consultation and the onset of high rise buildings in their local neighbourhood. and to advocate for them to other levels of government on what is appropriate development for Knox. ‘We will be holding our first round of public meetings in August and are seeking a venue’. KADA are also looking for candidates to stand in the October Council election. ‘Things cannot remain business as usual’, she said. ‘We are fast reaching the point of no return before the landscape and city that we love is destroyed for future generations’. 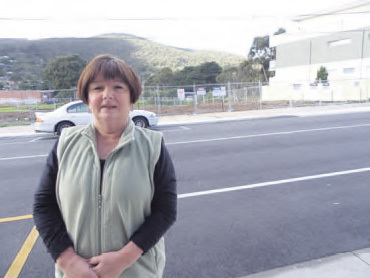 Former Knox Citizen of the Year and long-time advocate for more appropriate development in Ferntree Gully Village, Lynn Brewster is critical of some of the recent planning decisions at Knox Council meetings. The founding group of the Knox Appropriate Development Alliance (KADA) includes residents from across Knox who have separately been seeking better planning outcomes. KADA will hold a public meeting on Tuesday 16 August, 7pm-9pm, at the Ferntree Gully Bowling Club, 2A Glenfern Road, Ferntree Gully. For information, contact kadaresidents@gmail.com or see KADA’s Facebook page.